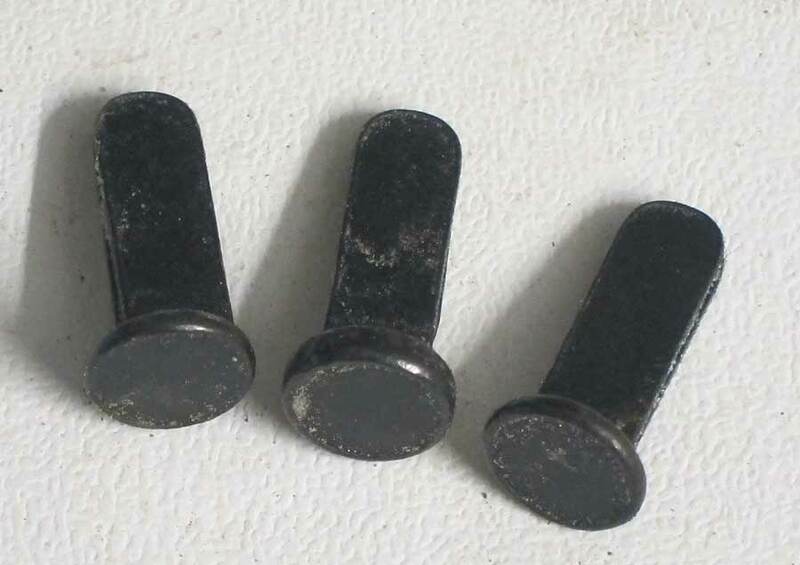 A set of reproduction WWI German M16, M17, M18 & Austrian / Hungarian German Helmet split pins (Rivets). 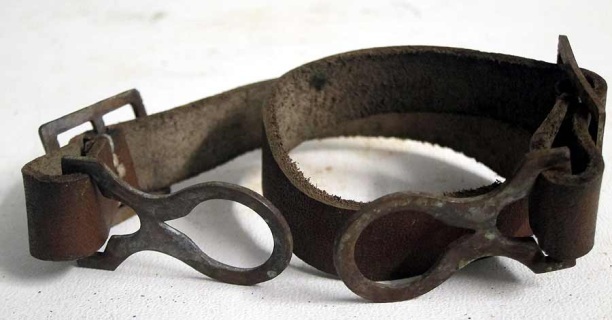 These were used for attaching the liner to the helmet shell. 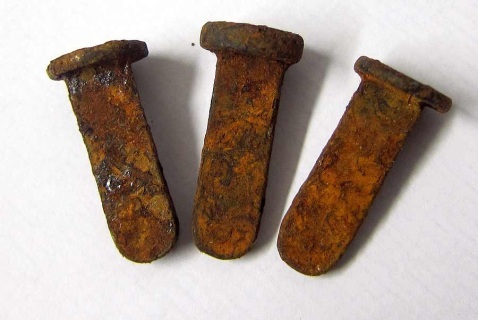 These are ideal for relic, semi-relic or very aged WWI German helmets and you can remove some of the rusting with wire wool if required. Normal oil or acrylic paint can be used over the rusting to blend the pins with the helmet finish. 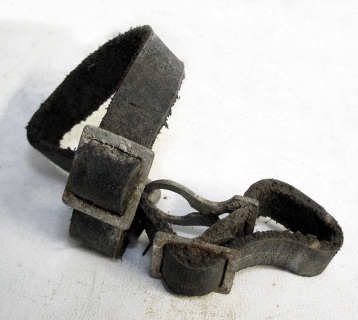 World War One (WW1) Chin Strap for the M16 or M17 Helmet. 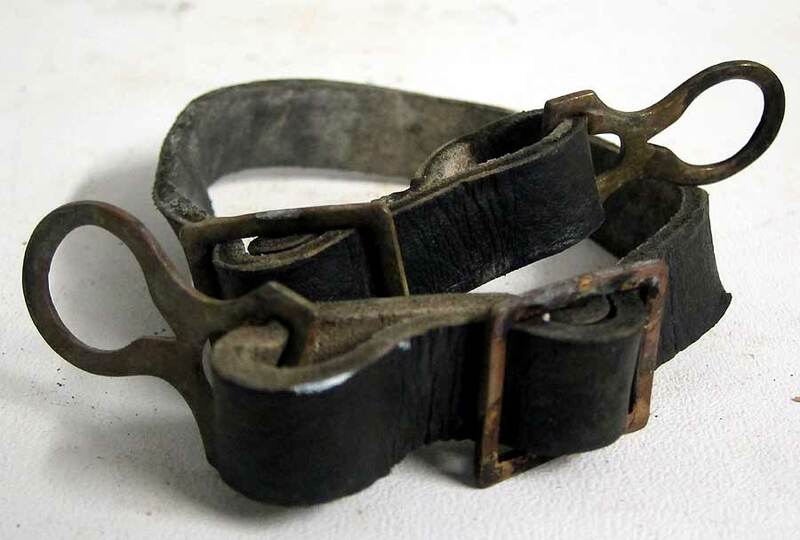 This strap has Brass fittings, cotton stitching, made of black leather and is made in Germany. We have had these made up to provide WWI Helmet collectors with the best chin-strap possible for your M16 or M17 Helmet after being disappointed with current reproductions. These are AGED. 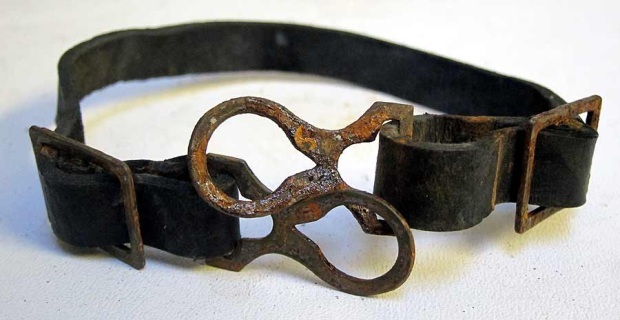 The brass is tarnished and the leather is dark, slightly shrunk and marked with age wrinkles in places. World War One (WW1) Chin Strap for the M16 or M17 Helmet. 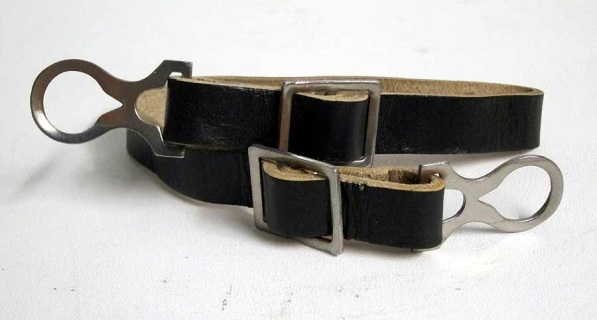 This black leather strap has steel fittings, cotton stitching and is made in Germany. We have had these made up to provide WWI Helmet collectors with the best chin-strap possible for your M16 or M17 Helmet. These are AGED. The steel is rusty and the leather is dark, slightly shrunk and marked with age wrinkles in places. World War One (WW1) Chin Strap for the M16 or M17 Helmet. 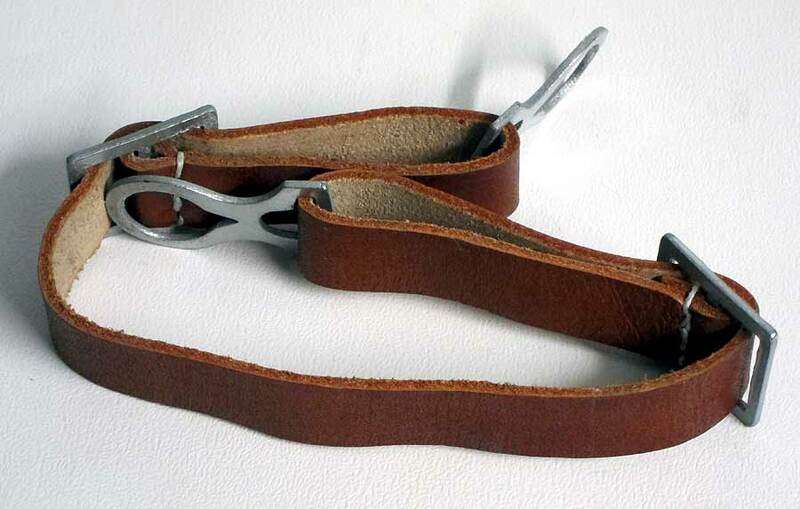 This strap has Brass fittings, cotton stitching and is made in Germany. 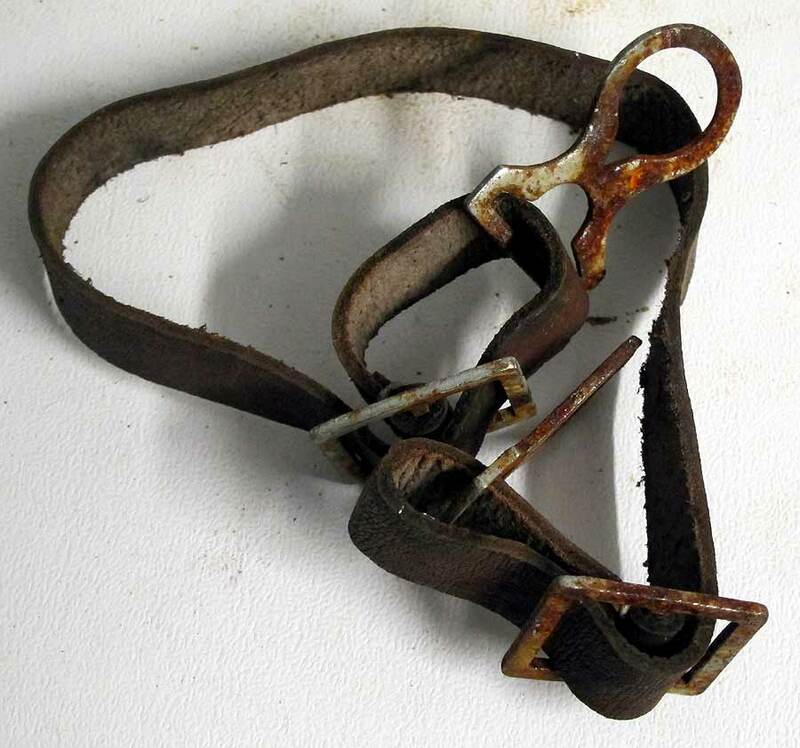 It is nicely aged, ready for your genuine or refurbished M16 or M17 helmet. We have had these made up to provide WWI Helmet collectors with the best chin-strap possible for your M16 or M17 Helmet. World War One (WW1) Chin Strap for the M16 or M17 Helmet. 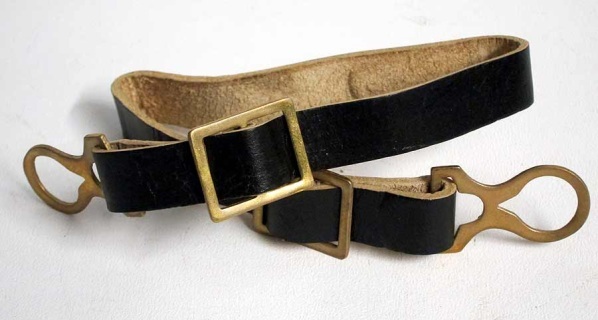 This black leather strap has Brass fittings, cotton stitching and is made in Germany. We have had these made up to provide WWI Helmet collectors with the best chin-strap possible for your M16 or M17 Helmet. World War One (WW1) Chin Strap for the M16 or M17 Helmet. This strap has Steel fittings, cotton stitching and is made in Germany. We have had these made up to provide WWI Helmet collectors with the best chin-strap possible for your M16 or M17 Helmet. World War One (WW1) Chin Strap for the M16 or M17 Helmet. This strap has Brass fittings, cotton stitching and is made in Germany. 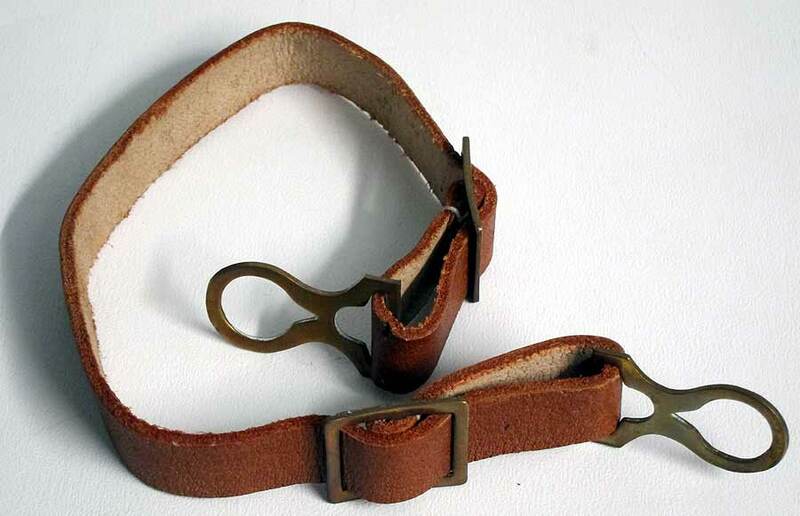 We have had these made up to provide WWI Helmet collectors with the best chin-strap possible for your M16 or M17 Helmet.